In a bowl, combine all the ingredients together very well by hand. 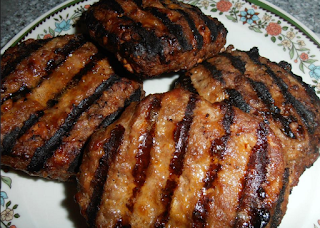 Divide into 4 portions and form into patties (the sirloin does not shrink, so you get really nice thick burgers). Place on a plate and cover with plastic wrap. Place in the fridge for at least an hour before grilling. 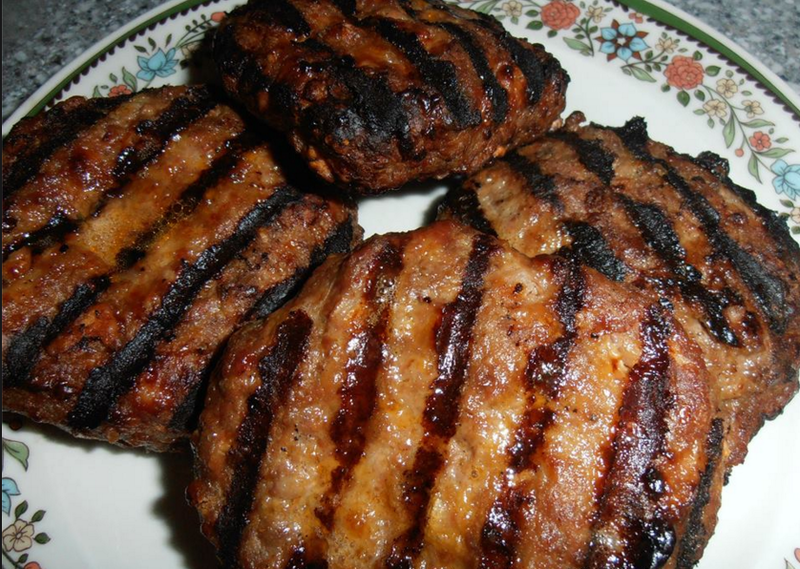 Fire up the grill to 400 degrees and grill the burgers for 6-7 minutes per side.